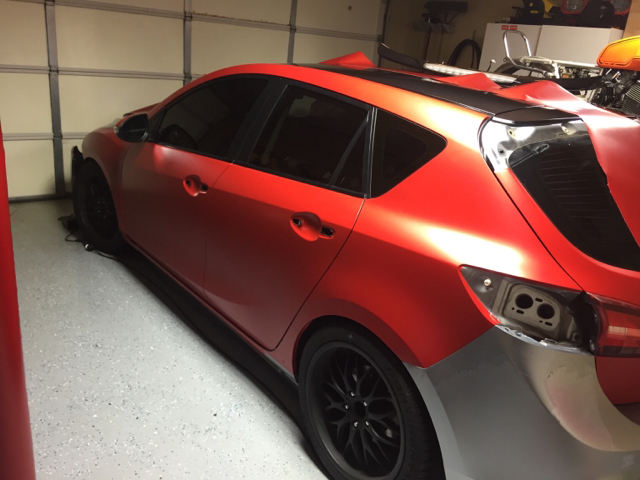 Let's see those alternate paint schemes | Mazdaspeeds.org, The New Era in Mazdaspeed, CX-7 & Ecoboost Forums! Discussion in 'Mazdaspeed 3/6 Appearance' started by OCD, Feb 10, 2016. 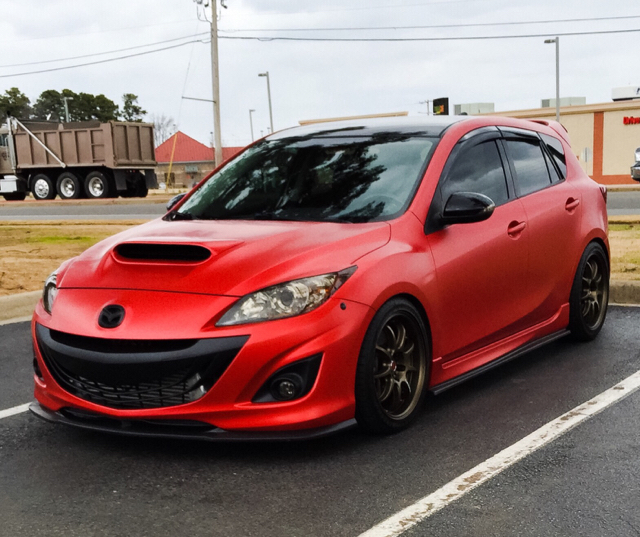 Here is my vinyl wrapped 3M 1080 Satin Smoldering Red . This is a thread I shouldn't follow, but am going to anyways. I love the matte finish of the wrap. Looks fantastic. Step 4 likely involves some sort of suicide. I did do it myself but I also own a small company that does vehicle wraps after hours. Those magnets come in handy! Although I gotten to where I just pull the whole backing sheet in one swoop then start the wrapping process. Awesome! Sounds like YOU need to write the How-to. I can supply timelapse videos of the struggles for the lolz. I spent between $500-$600 in vinyl and other supplies, followed by >160 [man] hours. I think it was 5 full weekends with 2 people. Cost of having it done is typically >$1200. I think $2k-$4k is common. What are the pros/cons of this as opposed to painting? Retail I would charge about $2000 or $2200. When it's not my personal crap and spread between paying customers I can have a car done in a weekend. Not bad really. Only sucky part is the clear coat is not quite thick enough in some areas so you can see a slight weave texture through the wrap. You have to be looking for it but it's there. I want to get both speeds wrapped eventually. 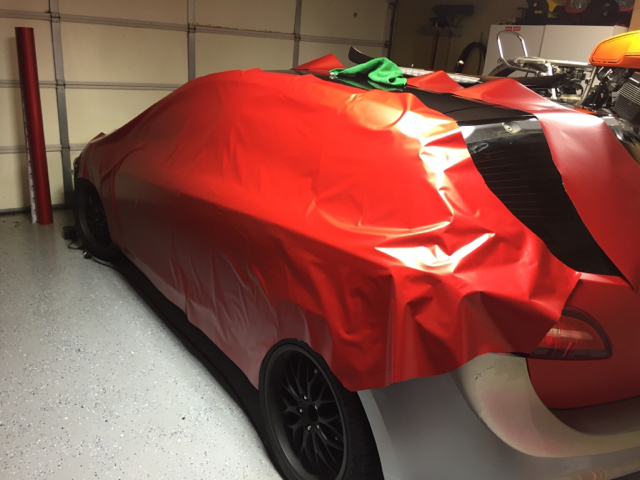 Is this wrap, dip, or paint? Very good color choice! RaiderFab is now in Instagram-let's see those pics!